From the beginning of his career, Peter Landon, FAIA, has had community in mind, engaging on a one-to-one level that brings neighborhood-specific solutions to life. That legacy has continued since the 1970s and has received numerous awards and accolades. That’s why it comes as no surprise that he will be recognized with a Lifetime Achievement Award from AIA Chicago’s Board of Directors. For more than four decades, Landon served as “an advocate for excellence and equity in design, particularly in under-resourced communities”. GRAPHISOFT had the distinct honor to profile his firm and the work at Landon Bone Baker Architects (LBBA) in our first season of By Design, GRAPHISOFT’s award-winning digital series on the present and future of architecture. Peter and the LBBA team were featured in the acclaimed second episode, titled “The New Urbanism,” available here. 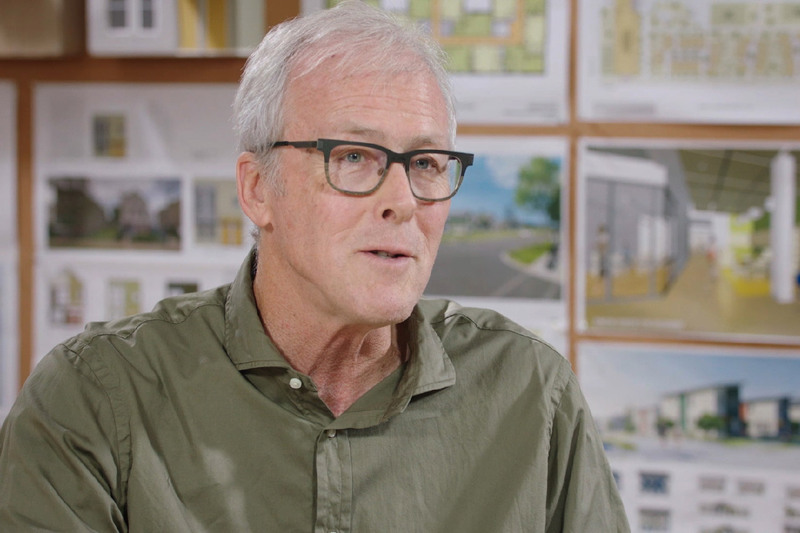 In this clip, Peter Landon and Jeff Bone speak with passion and humility about what motivates them to remain committed to bringing good design to community-based housing. The entire team at GRAPHISOFT would like to congratulate Peter Landon for this distinct honor. Landon will receive the award on October 26 at Designight 2018, celebrating Chicago’s architectural community and the 2018 recipients of the Design Excellence Awards.